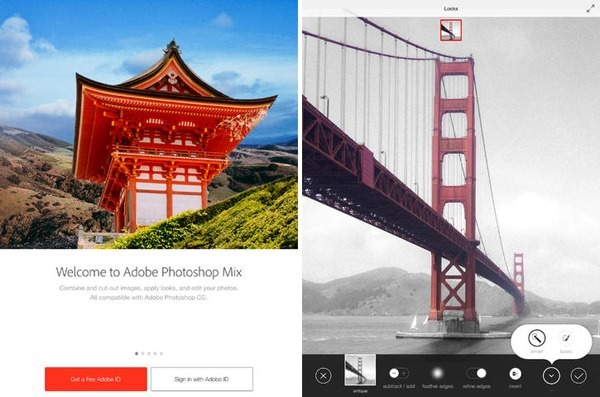 Adobe has been busy preparing for a series of updates and new additions for iOS over the past few months, and today, has launched Photoshop Mix for iPad in conjunction with the roll-out of a Lightroom app for iPhone users. Additionally, more than a dozen of Adobe’s Creative Cloud desktop utilities have been updated, and all in all, this a pretty significant, even landmark occasion for the company. Having established a reputation for delivering a premier photo editing and image manipulation experience through the iconic Photoshop app, Adobe has, like many other software makers around it, sought to expand its prowess in mobile space. Having previously rolled out a Lightroom app for iPad, today’s introduction of the corresponding iPhone edition offers much of the same, but the real talking point must be the very powerful-looking Photoshop Mix app for iPad. The Apple tablet, with its considerable real estate advantage over the iPhone and iPod touch, has been earmarked by Adobe for the lion’s share of new products and features, and the Photoshop Mix app only but underlines this endeavor. The all-new app offers a bunch of tools only hitherto accessible through traditional, desktop versions of Photoshop, and if you’re a bit of an aficionado in this particular department, you’ll be very excited by what Adobe has thrown into the Photoshop Mix. Up until today, Photoshop apps tailored to iOS have provided more of a token gesture of the real deal as opposed to offering a genuine, feature-rich experience akin to “proper” Photoshop. Where gaming on devices like the iPad has, in recent times, dipped its toe into “console quality” territory, Photoshop Mix does this for editing, with features and filters ranging from layering to selective adjustment. In alignment with these new iOS apps, a total of 14 Creative Cloud apps have also been updated, and Adobe has also taken the opportunity to reel off details of some iPad-focused hardware first announced last year. The Adobe Ink aluminum stylus offers great accuracy thanks to its Adonit Pixelpoint Technology, while the Slide ruler – an accompaniment to the Ink – will help you create straight lines and perfect circles on your iPad running iOS 7 or higher. Both products, as just confirmed, will be available from later today, and will set you back a combined $199.99. 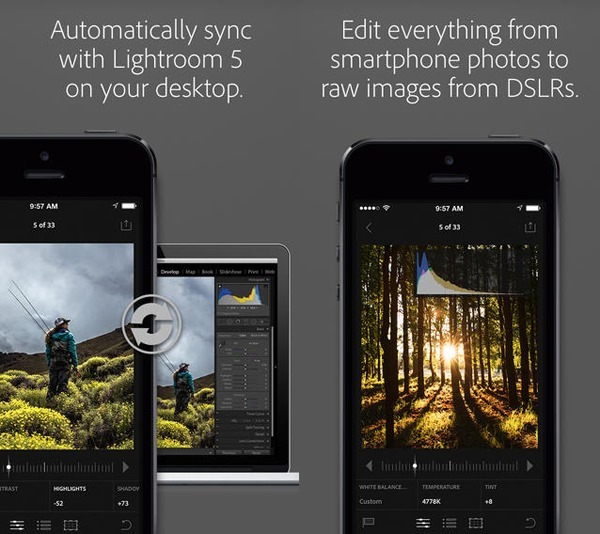 So, what do you make of Adobe’s new products and apps? A potential game-changer? 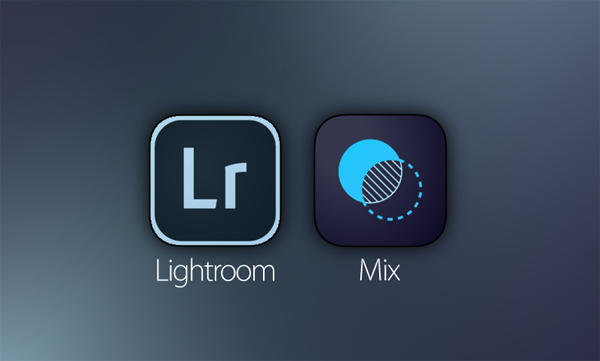 Download the Lightroom and Mix apps for iPhone and iPad below for free (Adobe ID required), and be sure to leave your comments via the usual channels! Oh finally got the photoshop mix for iPad, I was searching for it. All the features available there? May I be able to do some specific editing task also here? Anyway I am going to find it out soon. Adobe Light-room For iPhone it’s really awesome and great. Thanks for sharing this apps. It is a great news for me now I am using Adobe Photoshop, LightRoom form my iPhone also i do background remove work.